When Marty tunes a piano for me to perform on, I hear clear tones in the treble, in tune octaves in both the treble and bass, and stability due to his technique. I would recommend him for any type of piano service! 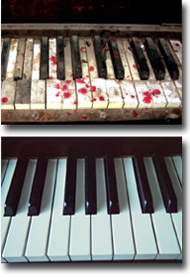 The two main reasons a piano goes out of tune: humidity changes and time.